MABE is a faith-based audio/visual (A/V) production and installation company based in Lakeland, Florida. With over two decades of experience across the country, we specialize in designing sound, lighting, video and projection technologies for multiple industries including education, religious and business entities. 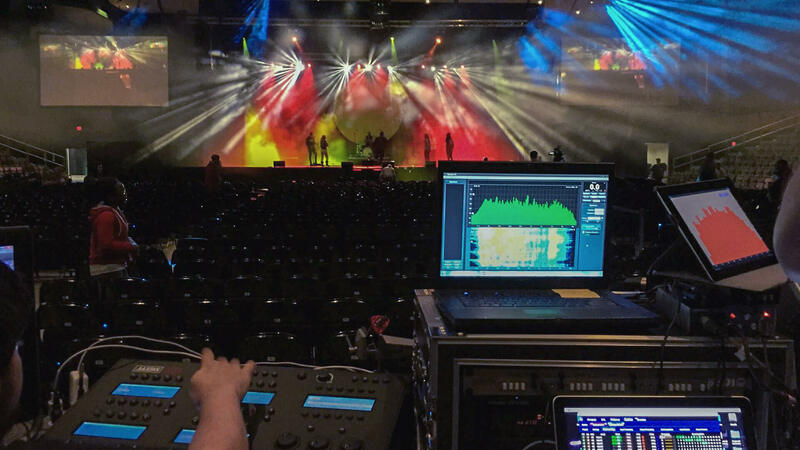 MABE installs permanent sound, lighting and video systems, as well as conducts live productions such as, concerts, camps, conferences, conventions, meetings, etc. While our primary source of business comes from working with religious and faith-based organizations, we also design and install integrated classroom technology systems and auditorium/theatre layouts for colleges and universities. Moreover, we have configured custom installation designs for community centers and restaurants. We use quality, state-of-the-art equipment and technology, and we are confident in our abilities. At MABE, we are fully committed to assisting businesses, organizations and ministries achieve their installation and production needs, while providing a professional and friendly service experience. Check out our extensive list of customers on the CLIENTS page. And, if you’re looking for a reference, feel free to call anyone on our client list.